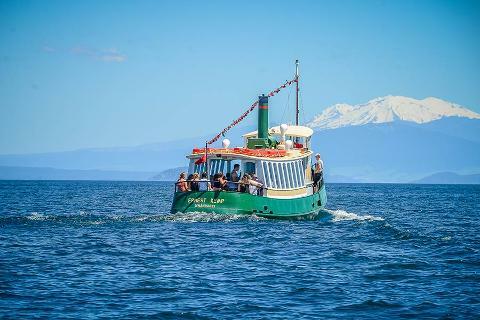 Experience our Maori Rock Carvings Cruise, sit back and relax with a wine or beer and pizza. by sunset with drinks, pizza. 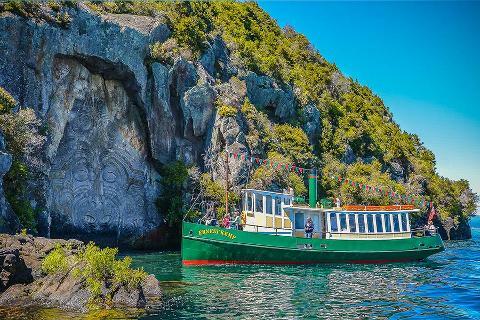 This 2-hour cruise visits the Maori Rock Carvings, Acacia Bay, Hot Water Beach and the Lakefront. Enjoy fun and informative commentary, comfortable seating both inside and outside. free WiFi. Bring your towel and swimmers if conditions allow the skipper will stop for a swim. Great photo opportunities. 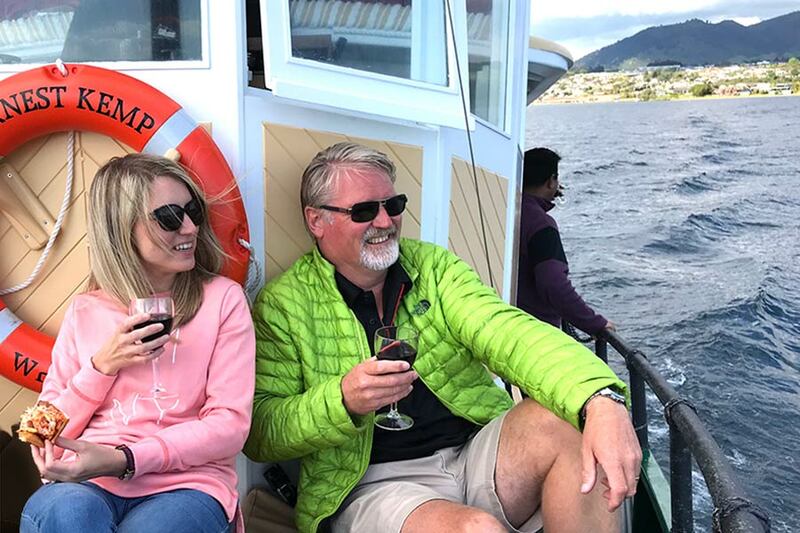 Please report to the black boat harbour booking office at 65 Redoubt Street, minimum 15 mins before your cruise is scheduled to depart, to collect your boarding pass. Dairy free/ Gluten free pizzas incur an addition charge of $3.00 per pizza – please advise at the booking office upon ticket collection.